Korean War veteran speaks up for South Korean dogs and cats. On Veterans Day, November 11, one Korean War veteran will be thinking of the forgotten dogs and cats in South Korea. While many veterans will march in celebratory parades as onlookers offer their gratitude, former Corporal Jerry Bey, 82, of Marietta, Georgia, a proud member of the 27th Infantry Regiment (“The Wolfhounds”) from 1952 – 1953, is calling attention to a staggering crime committed against animals. If you are or were in the U.S. military, click here to join Corporal Bey and sign a special Veterans’ Petition to the South Korean government. And visit IDA’s Facebook page – there you’ll find a link to our petition to share on your own Facebook page! 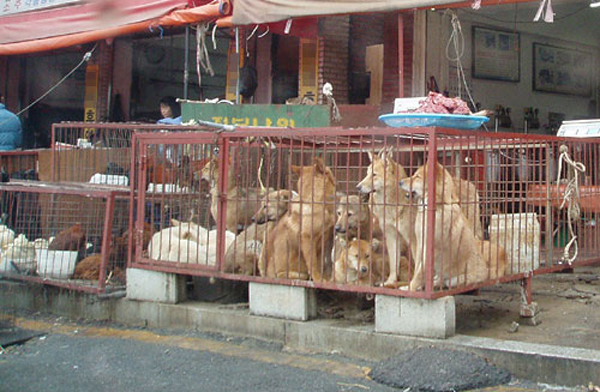 South Korea’s $2 billion dollar-a-year dog and cat meat industry kills approximately two and a half million dogs and cats each year. It is a sordid and illicit world where farmers and butchers kill with frightening impunity. Dogs are killed with high-voltage electrocution, hanged, beaten to death, and frequently have their throats slashed, because of the myth that the more pain, panic and suffering they endure, the more flavorsome the meal and the more potent the alleged “medicinal properties.” Dogs are killed within sight of their cage mates who await their own grisly end. They are thrown into a tub of boiling water, and then into a rotating drum for the removal of their fur, and finally blowtorched, often while still alive. Cats are bludgeoned and thrown into boiling water while conscious. Many have their legs broken so they can’t escape. It was Joe, Jerry Bey’s dog of 18 years, who inspired him to speak out against the ghastly treatment of dogs and cats in the country where his fellow soldiers sacrificed their lives. Although Joe has been gone for several years, Jerry still thinks of him every day. And when he learned about the torture and killing of innocent animals in the South Korean dog and cat meat industry – a true industry of horror – he became very angry. That is when Jerry contacted In Defense of Animals (IDA) to see what he could do to help. A shiver goes through Jerry when he imagines the torment. As he said with incredulity, “I fought for this? Fighting in the trenches in South Korea for freedom for its people, and this is the result? This is not what I envisioned. It’s very disheartening to me and, as a Korean War veteran, I needed to say something about the suffering of these animals a world away from me. They must not be forgotten.” Jerry Bey discusses his medals with pride, and the camaraderie of his unit. But what really matters to him on Veterans Day is convincing the government of South Korea to protect the powerless and the vulnerable, and to finally end the shameful dog and cat meat industry. For more information and to see what you can do to help, visit www.skdogcatcampaign.org. Veterans: click here to join with other U.S. warriors in sending a special petition of compassion to the South Korean government. If you want to get more involved, click here to send us an email. President Harry S. Truman initially described the Korean War as a “police action,” as it was conducted under the auspices of the United Nations. The U.S. entered the war in July of 1950 on behalf of the pro-U.S. Republic of Korea (South Korea) fighting the Soviet-backed Democratic People’s Republic of Korea (North Korea), becoming the first military action of the Cold War. Jerry recalled shells pouring down upon him and his unit as he and his squad mates jumped into nearby bunkers for safety. The sounds of war you never get over. Casualties were massive among civilians and soldiers, with nearly 5 million deaths – more than 54,000 Americans died in action, and another 100,000 wounded. 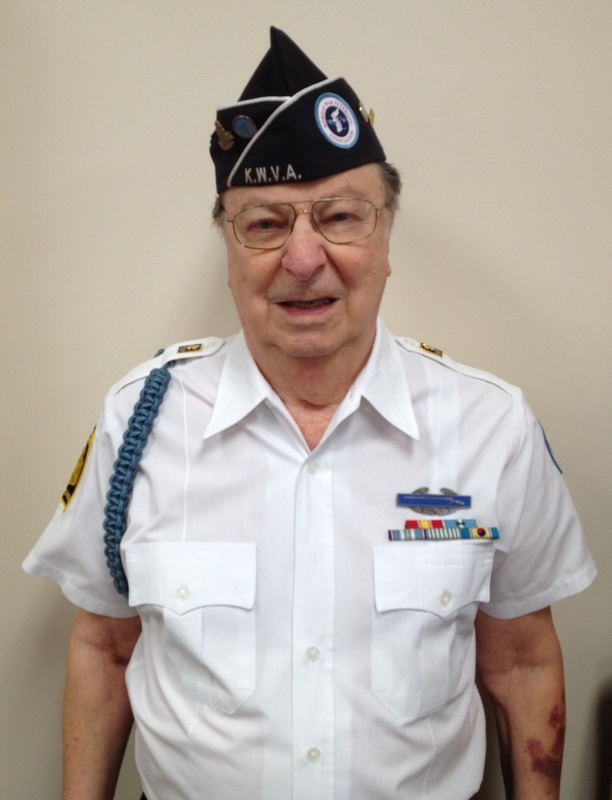 Returning to civilian life, Jerry became a member of the Korean War Veterans Association in Atlanta, and shared memories with old friends. His wife, Pearl, served in the United States Army, 1954-1957, and is also a member of the Korean War Veterans Association. They have been married for 42 years. “She is perfect,” Jerry gushed. Posted on November 10, 2012, in Animal Rights and tagged dog meat, dog meat trade, Government of South Korea, Harry S. Truman, IDA, In Defense of Animals, Korea, Korean War, Korean War Veterans, North Korea, South Korea, The Wolfdogs, The Wolfhouds, United States, Veterans Day. Bookmark the permalink. Leave a comment.